10/10/2018 ~ Foreclosures are multidimensional to the point that foreclosures are internally contradictory. 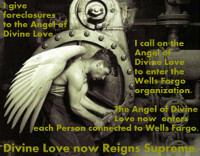 In terms of law, foreclosures are the enforcement of negotiable instruments. The negotiable instrument in a foreclosure is the Original Promissory Note that was given to secure the mortgage. Enforcement of negotiable instruments is governed by the Uniform Commercial Code, which has been adopted into the statutes of every state. Other laws involved in foreclosures include the United States Constitution, which provides in Amendments Five and Fourteen for due process, that is, the Foreclosure Plaintiff serving its Complaint for Foreclosure on the Foreclosure Defendant. In many cases the Foreclosure Plaintiff violates this law in order to get a Default Judgment, one in which the Defendant has done nothing to defend. In some cases the property proceeds from a default foreclosure to auction with no notice to the homeowner. Laws like the laws against perjury are also involved. Each time an affidavit is sworn, is it under penalty of perjury. Usually in a foreclosure the Foreclosure Plaintiff files one or more affidavits. 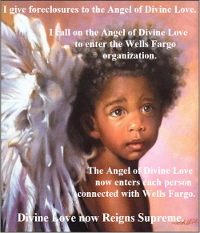 In my case Wells Fargo filed false affidavits, but no penalty was forthcoming. Thus, what makes foreclosures “internally contradictory” is that they are held up to be the enforcement of the law governing money borrowed, but not paid back, which people generally understand and expect to be upheld. In actual fact, however, many lenders have refused to allow the homeowner to pay back, under the guise of following the letter of the law. 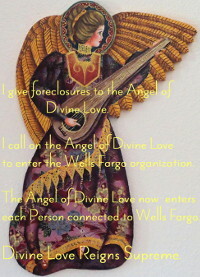 Add to that the fact that many lenders don’t want the true facts of the case to come out, so they don’t serve the homeowner the Complaint for Foreclosure, and if they do, and the homeowner fights the untruths in the lender’s case, the lender files false affidavits, which in most cases the court accepts, no penalty for perjury being forthcoming even after falsity is admitted. Overall, foreclosures are presented to the public at large as the rightful collection of a debt by the foreclosure plaintiff. In reality, however, the Foreclosure Plaintiff is often unable to show that it has, or ever had, the actual promissory note that underlies the foreclosure. At first glance, that may seem okay. Who hasn’t lost something over the years? But, in reality, what a lost promissory note reflects is the vast profits Wall St. generated by securitizing mortgages and bundling them as tradeable bonds. The profit realized from trading mortgage backed securities so dwarfed the value of the actual promissory notes, that the notes were not kept safe, sometimes not kept at all. When the market crashed, lenders and banks who had profited from the scheme took the position that they had no idea some of the mortgages had been sold under misleading terms. The fact, however, was that trusting homeowners had been targeted, rocketing interest had been concealed in sales talk that sold mortgages and generated a wealth in commissions. Internally contradictory foreclosures leave homeowners stunned at the lack of justice, and on lookers ignorant of the fact the homeowner is neither having a mortgage forgiven nor being given a free house if the homeowner wins. But, homeowners seldom win because of the perception that the lender has a right to the house, and the homeowner has no right to it. Once the lender wins the foreclosure, the homeowner has no legal avenue to recoup losses that were caused by lender’s false affidavits, and violations of the U.S. Constitution and the UCC. Because, the lender winning is viewed as evidence that the lender did no wrong. This is because a court has effectively approved everything the lender did in the foreclosure. Internally contradictory foreclosures are pretty much the run of the mill. Our Collective Conscious, however, is neither fooled nor oblivious. Our Collective Conscious may be as yet weaker than the influence of news and advertising, but in time, as Every Person connected with courts becomes aware of the internal contradictions the decisions in foreclosures will stop favoring the false and start favoring homeowners. 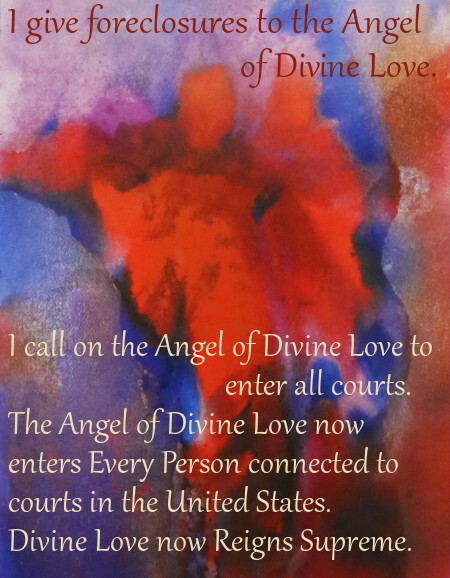 Art Credit: The Angel of Faith and Hope by Jo Ann Durham, has been used in healing.